Photo by Tyler Bennett Ravenswood shortstop Cameron Taylor (13) gets a forceout of Ritchie County’s Jeremy Darnold (4) at second base during a high school baseball game Thursday. 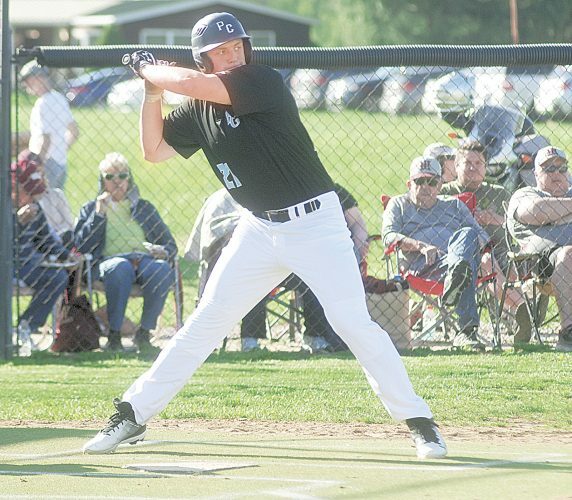 RAVENSWOOD — Ritchie County pitchers Dakota Wayne and Austin Dalton gave Ravenswood batters fits all night, combining for 11 punchouts as the Rebels defeated the Red Devils 10-6 Thursday night at Wright Field. 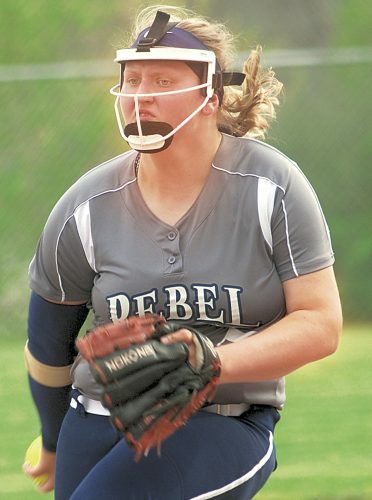 The Rebels gave starter Wayne plenty of runs, scoring five in the second on three consecutive run-producing hits. 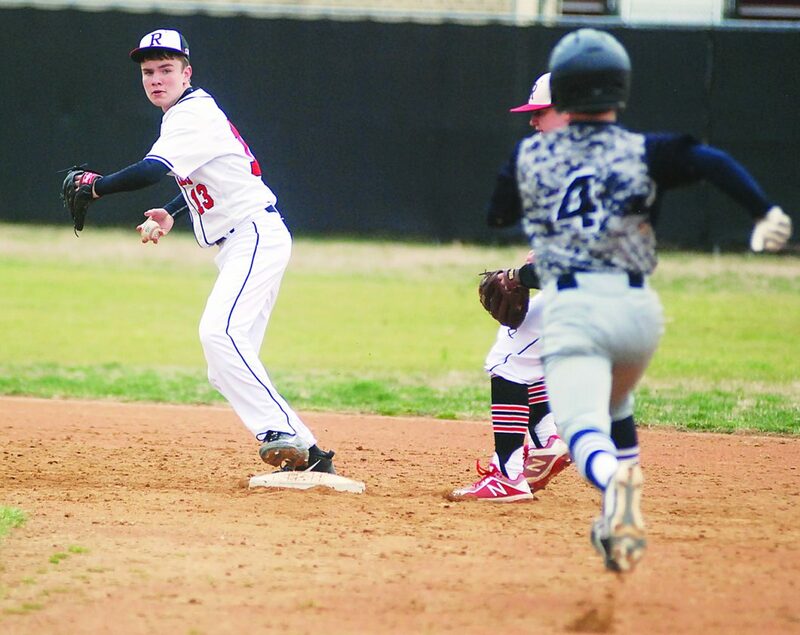 The Rebels took the lead in the first, as Dalton scored off a throwing error. Garrett Owens started the second walking, as the duo of Zachary Cline and Jeremy Darnold hit back-to-back singles. The latter hit was an RBI single, as Owens scored off Darnold’s grounder that barely made it out of the infield. 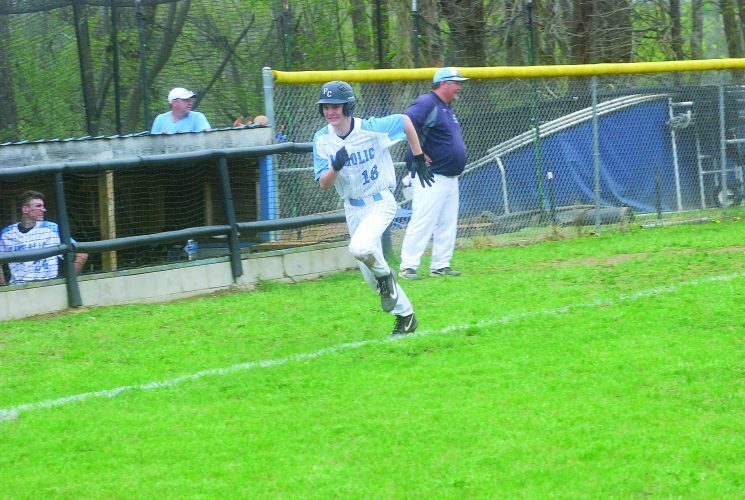 The offensive effort was just beginning for the Rebels, as Avery Taylor joined Tatem McCloy and Dylan Taylor, who both hit singles that put runs on the board. When Avery Taylor stepped up to the plate, he delivered a two-run single to left field. The only negative in the game for the Rebels was leaving seven runners on base. Wayne picked up the win, striking out six Red Devils, and only allowing three hits and three runs in three innings. 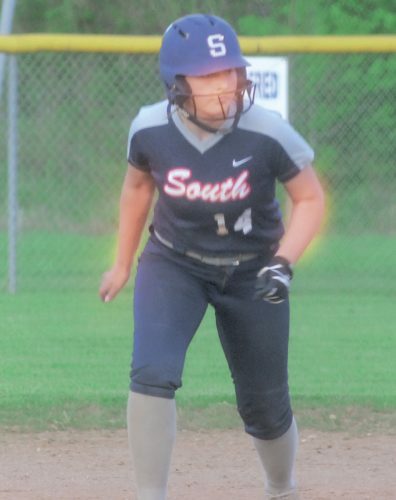 Those three nearly didn’t happen, as Red Devil Kenley Hickman hit a bases-clearing double in the bottom of the third with two outs. Wayne got Ashton Miller swinging to get out to end the third. That was the last batter Wayne faced, as Dalton came out of left field to take over the mound. He continued where Wayne started, striking out five batters and walking two batters. “Wayne gives us some strong innings, I can’t be upset about. He did a really good job,” coach Vanoy said. That trouble was the Red Devils’ best chance, coming in the final inning. Dalton loaded up the bases after walking Hickman and was brought out in favor of Zack Knight. Knight didn’t last long, walking and hitting the only Red Devils batters he faced. 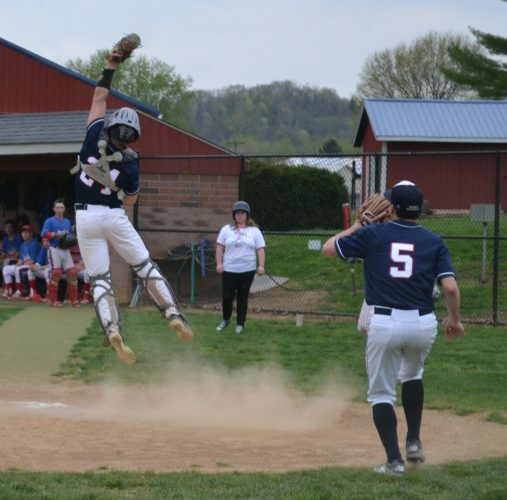 After loading the bases via walks by Sam Sturm, Hickman, Ashton Miller and Jacob Hatcher, along with Kennedy and Dalton Moore getting plunked led to three runs. Avery Taylor picked up the save, striking out Alecx Gwynn swinging. Hayden Swain took the loss for Ravenswood, striking out six Rebels in 4 2-3 innings of work. Hatcher hit a double in the bottom of the fourth.